How do they do it? Secrets SEO content writers won’t tell you? A good content is often written by professional SEO content writer. A writer understands how to write content in a proper manner, that ranks. 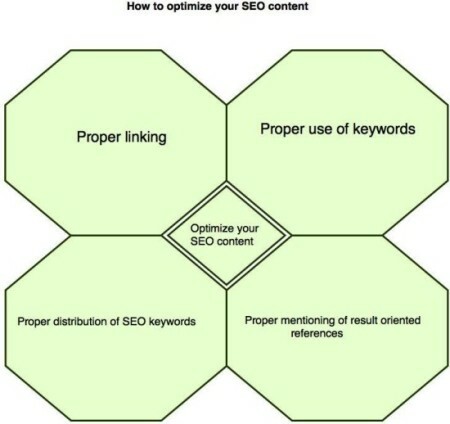 Before working with your SEO strategy you need to understand that how the entire ecosystem of web content writing works. With this blog, we are trying to tell which ideas are kept in place and which way SEO content writer uses their intellect and knowledge to write keyword oriented yet actually informative and well-ranked content. You have seen new brands surprisingly gaining on traffic, rank and then revenue – that too so quickly you thought hard. You have seen new brands speaking marketing stuff so nicely that you start envying them. Did you ever notice why some brands always score well and how they get the limelight; while some always crave for some? A good content is often the hard work goes into practice and proper planning. How is the SEO writing things do? It is actually the words – to put it in different ways, it is the art and science of writing SEO optimized content that pulls a brand to new score bracket. But not all SEO content writers are good, some are gifted while some learn as they age. It is not just the words that help them pull a brand to score. It is a mix of ideas that they gain as they accumulate experience. In this article, we are trying to cover some of the important things that an SEO content writer would do. These are secrets best known by professional SEO content writers. Read on, and for any query; please feel free to comment. The number one priority for an SEO content writer is to write SEO optimized article, and content based on keyword. Finding out popular keywords that are challenging yet are not very competitive is the way to start writing good content. Just finding out some keywords and writing on them is not enough until you understand how to place. Keyword density – placing keywords after comparing their values are as much important to do as to score out proper value phrases. There has never been a rule of thumb as to how much is too much. People’s perception of the nature of content length differs and they vary depending on the intention of readers. But frankly speaking, if a content is ranking on Google today, it is because it is informative and lengthy. It is a proven fact that lengthy content that solves the issues of your readers is bound to rank. Writing down a proper variety of content and then marketing these on important places is very important. Without having to understand where to place your content, it is not viable to score well. 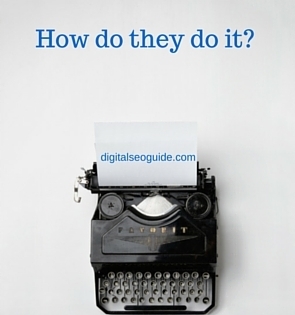 So SEO content writers know how to publish their content and where and when. If a reader is asking something and if you, as a professional SEO content writer replying to the query, you ensure your reader that you are serious about it. That instantly puts the discussion at a professional level and you build a loyal base of readers. A good blog post is where the author is active even after the content is done editing. These are some of the secrets professional SEO content writers know and these techniques are helping them write informative content that ranks. There are other tips and tricks used by SEO writers; which we cover in another article. Meanwhile; if you have any query, please ask.